The most underrated piece of trail-running gear belongs right on your nose. My body ached with the familiar, satisfying soreness of running up and down a mountain—tight quad, crampy calves and … dry, burning eyes. As it turns out, running at almost 13,000 feet on a snowfield during a sunny day without sunglasses is risky behavior. Despite taking every precaution to protect my feet and summit the mountain safely, I, like most trail runners, had been careless in protecting another part of my body required to navigate the trail. Trail runners expose themselves to even more potentially damaging eye hazards than the average person simply by being outside more frequently and in conditions that are prone to debris, low-hanging branches and varied weather conditions. The technical term for my sunburned eyes is photokeratitus: sunburn on the cornea, which can cause temporary blindness or blurred vision and make your eyes burn and feel gritty for two to three days. Other eye conditions of concern for runners include skin cancer on the eyelids (more than 10-percent of skin cancer occurs on the frequently exposed eyelid areas), pingueculum (noncancerous growth of the conjunctiva) and long-term damage that surfaces later in life such as cataracts. Therefore, a properly selected pair of sunglasses is an absolute essential—here is a check list for scoping out your next pair of shades. Look for a UVA/UVB label—just like sunscreen! Full-spectrum UV protective lenses will block 100 percent of UV rays and absorb most of the high-energy visible radiation (HEV). Cheap knock-offs may cut down on the sun’s brightness but are actually not offering sun protection. Polycarbonate lenses. “These lenses help in the case of a fall or getting hit by a branch, because glass will shatter!” explains Dr. Adamopoulos. This material is also more durable. Wraparound lenses. Dr. Clark is a fan of wraparound lenses for maximum coverage. Match your lens color and type to lighting conditions. Dr. Adamopoulos recommends that trail runners even wear sunglasses at night for protection from low-hanging branches. Look for an amber tint—this is what race-car drivers use for driving at night. 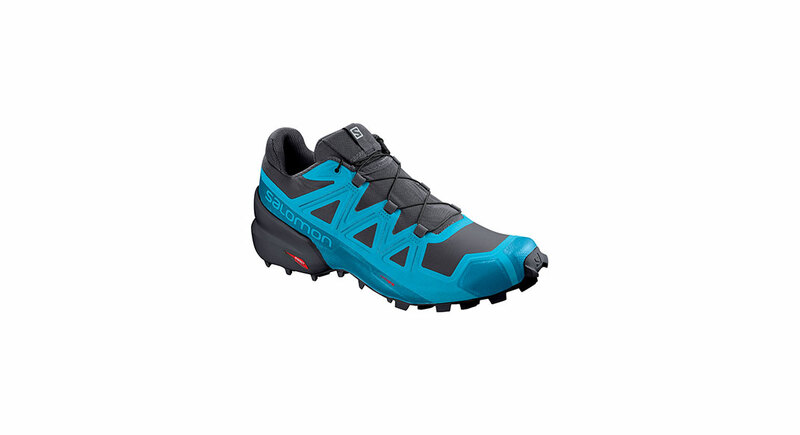 Anti-fog technology is a consideration for trail runners. 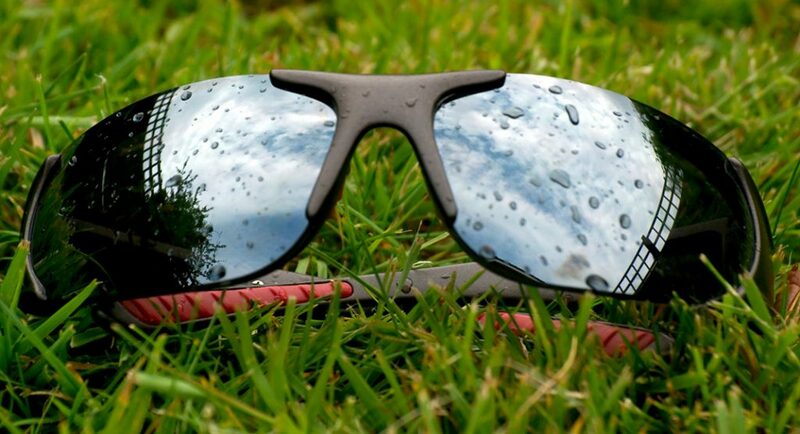 Some lenses automatically adjust to humidity, to eliminate fogging. Otherwise, pick a fit/lens that offers plenty of ventilation. Eliminating bounce is perhaps the most critical fit issue. Look for a pair with adjustable or interchangeable components, especially the nose pads. Be sure to actually try on sunglasses and go for a trial jog with them. While it may be tempting to leave home without sunglasses for all but your longest and sunniest runs, Dr. Adamopoulos emphasizes that eye protection should to be valued the same as training—consistency over time is key because most of the damage to our eyes is done over a cumulative period. 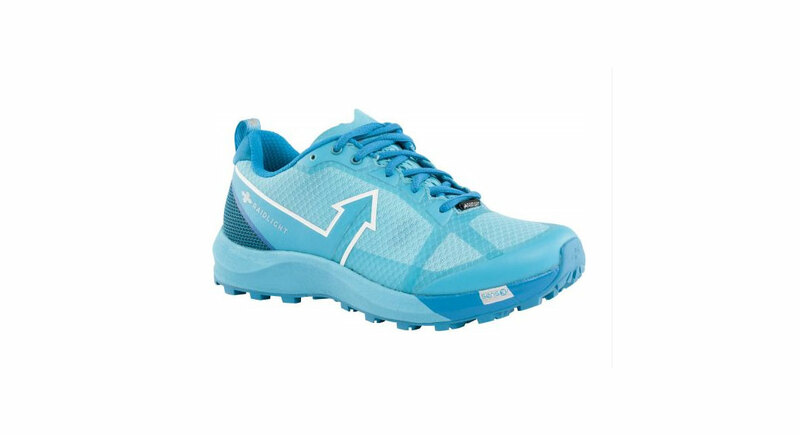 Be sure to find a pair that fits well, meets your trail-running needs and (most importantly) looks great.